Akshay Kumar is unstoppable, even after ruling the industry like a boss for more than two decades,. Unlike most actors, Akshay loves working on multiple films and the audience can't have enough of him either. While he started 2015 with a fabulous film like Baby, both Gabbar Is Back and Brothers earned him accolades for his performance. For someone who is not bothered by the box office collections of his films, Akshay's only aim is to entertain his audience with characters that are different from the ones that he has done in the past. 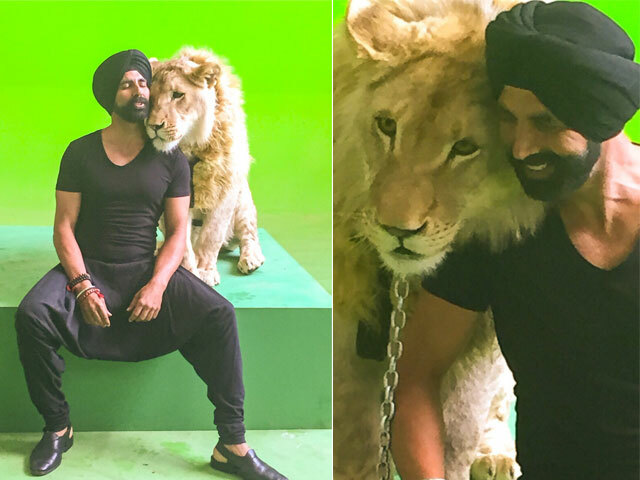 In the same quest, Akshay has left Happy Singh from Singh Is King behind and has stepped into the shoes of Raftaar Singh in the upcoming Singh Is Bliing (and no, the two films are not related). The first time I met Akshay sir was when I was all of 8, on the sets of a dance reality show, where he was present as the judge during Hera Pheri promotions (and when I narrated the story to him after our chat, he refused to believe that our picture together was almost 15 years old. He kept saying, "Both of us still look the same"). Even then, I was quite inspired by his dedication and focus. The actor had made sure that all the props and necessary arrangements were made in time for his performance, and continued shooting till 4 am, till he got all his shots right. 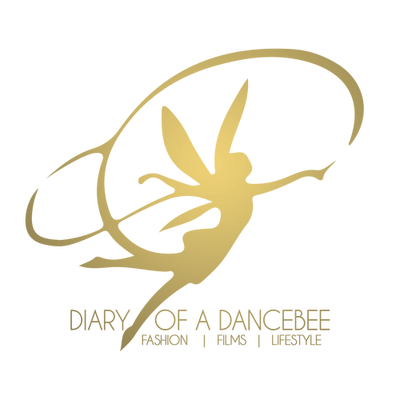 2015 again gave me the chance to meet the Khiladi Kumar twice, but this time, as the creative director of Diary of a Dancebee. First, during Baby promotions, and now, in a between super long day for Singh Is Bliing promotions at a suburban luxury hotel. Dressed in simple casuals, Akshay walks in and settles down quickly, after a short chat (in Marathi) with his security team. "We started these interviews at 6 am and now, it is almost 5 pm. I start my day early, around 4 - 5 am, and sleep on time, around 9 - 10 pm. I always make sure that work does not interfere with my lifestyle," he said. Well, that just confirms, years come and go, but some things never change, and in the case of Akshay Kumar, it is his discipline. Apart from his films, the actor was recently in the news for his donation of 90 lacs for the farmer suicide cause in Maharashtra. But instead of talking about it, the actor chose to keep it low and stated, "I don't like talking about charity. It's a personal thing and everyone must help those in need." In a candid chat with Diary of a Dancebee, the actor talks about Singh Is Bliing, journey as an actor, the mathematics of cinema, memories of ganesh chaturthi, and his encounter with Mufasa - the lion! You have always stated that comedy is your favourite genre and you are getting back to it with Singh Is Bliing. How excited are you? To be honest, I am very excited, because since the last two - two and a half years, I have been doing a lot of serious stuff. These films aimed at spreading a message. But getting back to doing commercial cinema has been a great experience. Around the same time, I also got the opportunity to do Housefull 3, which we have started filming in London. Houseful 3 is all about going as wild as one can go. Post that, I will get back to some serious films again, so in a way, it is good to get a breather and feel relaxed in between serious projects. Doing different things always excites me. But, do you think it can get stressful at times, especially while shifting from one character to another? Not at all. Firstly, I am not the kind of an actor who will get all serious and behaves like the character 24x7. Its all fake! Let's be practical. As actors, we get fancy vanity vans with air conditioners, the best of food and comfort, bowl full of dry fruits, the best of female actors to work with (laughs), so it is not that taxing. Actually, whenever journalists hear an actor say something like this, you should just say to yourself - "Jhooth bol raha hain yeh" (laughs). How does it feel to be among the first few actors who started the trend of mainstream heroes doing comic roles? Actually, it was Bachchan sahab who started the trend and was the first one to do films like Desh Premee. He was the first actor who played the hero and his character had a comic touch. A lot like what Mehmood sahab and Kishore sahab used to do. Very few people did it, and I just followed them. It's great to do comedy, and it is absolutely difficult. But unfortunately, a comic hero is not getting his due in the industry, because we look down on them. Unless you are doing romance or tragedy. Its like, unless you don't cry or scream, you can't get the best actor award. If you are making people laugh, they look at it as buffoonery. I fail to understand this behaviour. Its absolutely ridiculous! But unfortunately, a comic hero is not getting his due in the industry, because we look down on them. Unless you are doing romance or tragedy. Its like, unless you don't cry or scream, you can't get the best actor award. While Baby and Gabbar Is Back performed well at the box office, Brothers, unfortunately, wasn't received that well. Did it leave you feeling disappointed? I don't really see it as a failure. The film did average business, but I am very proud to do a film like this. Brothers was an emotional film, with one of the most amazing fight sequences ever witnessed on screen. Since the film was about mixed martial arts, it is and will always be very close to my heart. Through Brothers, I got a chance to introduce something new to the audience and I am definitely proud about it. There is no room for disappointment. You are one of the few actors who do 3-4 films a year, with an average of one film per quarter. But, do you think it will help if there is a sufficient gap between your film releases? While I know that my films are lined up once in every 3-4 months, I make sure that my character is different and I am offering something new to my audience. Plus, I ensure that it is made in a certain amount, because I am the producer in most cases. If you look at the mathematics, my films are made at a COP (cost of production) of 30 crores on an average. If you make a film for 5 rupees and earn 8, we are still earning a profit of 3 rupees. So, whatever the result, I am the one who will face it, whether profit or loss. I am happy, irrespective of my film's fate. You know, I recently met a light man, who joined his palms and said, "Sahab, main aapko thank you bolna chahta hoon. Aap inti saari filmien karte ho, toh hamare pass kaam rehta hain." Then, my make-up man told me that he earns the most in this industry. So, I don't see anything wrong in doing multiple films a year. Are you planning to do any more films based on mixed martial arts (MMA)? Not yet. But, if there is any suitable script, I would love to do it. Right now, I am focusing on my MMA tournament in Surat. I am looking forward to it and I am thankful, because the Chief Minister of Gujarat will be present. The idea is to take this tournament to every nook and corner of India. I want people to know that learning martial arts or any form of self defence is extremely important. You are the only actor who loves experimenting with stunts and tries new action sequences in every film. So, is there anything unique that we will get to see you do in Singh is Bliing? Absolutely! In this film, I shot an important sequence with a lion. His name was Mufasa. That is a big stunt in itself (laughs). Not that I am fighting with him, but this super hug lion is sitting in my car, right behind me. They got him and there was an incident which freaked me out. While shooting, he saw his own reflection in the windscreen and thought that there was another lion in front of him. He got angry and broke the windscreen. I just ran away. People were like, "Aap toh Khiladi ho. Woh kuch nahi karega," and I just said, "Bhai, hum Khiladi the. Main jaunga hi nahi. Woh maar dega or finally, film ke end mein mera photo aayega - Late Akshay Kumar - aisa like ke" (laughs). But it was an incredible experience. Such a good looking, loveable, full grown lion, that you will end up falling in love with him. But working with him was a risk, because if you hang around when he is not in the mood, aap toh gaye bhai. Whatever the result of my films, I am the one who will face it, whether profit or loss. I am happy, irrespective of my film's fate. Both you and Twinkle have a humorous side, which is poles apart. Honestly, her humour in books and columns, even at the book launch, was not a surprise for me, because I get to see that everyday (laughs). If you compare our sense of humour, then she definitely has an edge. My humour is different. It is very Punjabi. Twinkle is very sharp and blunt. Even when it comes to the kind of humour used in my films, she has her own choices. She may like slapstick comedy sometimes, but it depends on how everything is presented. With star kids and actors with godfathers making it big in the industry today, how do you see your journey of becoming a star without any support? It would be wrong on my part to say that nobody makes it big on their own merit. Just because somebody is an actor's son, doesn't mean that he can become a star without working hard. You cannot survive in this industry without hard work. You can't achieve anything without it. There are many actors who are star kids and perhaps, they haven't worked hard. So, they couldn't make a mark at all. Do you think there is a different between the content and kind of films that were made a decade back, when compared to the projects now? Absolutely, and that is because the audience has changed. So, as long as the audience will keep changing, even the content will go through changes. The writers think according to what the people want nowadays. So, the supply will be according to what both the multiplex and single screen audience demands. I personally think that the changes will be drastic in the coming years. According to me, 2016 will be a golden period for the industry, due to some reasons which I feel will work for the industry. You can expect a lot of changes from October - November. The country is celebrating Ganesh Chaturthi with a lot of enthusiasm. What is your childhood memory of celebrating the festival like? When I was staying in Bandra east, I used to have great fun and even dance on the roads. Then even when we shifted to Lokhandwala, there was a Ganpati in our building. I remember dancing like crazy and taking the idol to Versova for immersion. We used to be awake all night, play games, organise competitions, do the aarti, go to different houses for prasad, enjoy the food. It was great fun and I have amazing memories. It's a lovely festival, which is extremely auspicious. But at the same time, it is important for us to understand that saving the environment is crucial. The eco-friendly idols are expensive, but at least they are not harming the nature and they quickly dissolve in the water. I stay near the beach and the worst sight after immersion day is to wake up to remains of the idols, hands and legs in different parts of the beach. It is very sad! There are many actors who are star kids and perhaps, they haven't worked hard. So, they couldn't make a mark at all. How does it feel when younger actors like Tiger Shroff look up to for inspiration? I feel good about it. Even Tiger is one of the few actors who loves martial arts and parkour. He indulges into a lot of physical fitness activities. He is one of the few people I know who does not indulge in extra products, which a lot of youngsters do use as a shortcut for a better physique. Hats off to him! You have completed 25 years in the industry. How do you look back at your journey in the industry so far? It has been a good one, nothing less than a roller coaster ride. The kid in me loves such roller coaster rides. There is a lot more left and I shall keep up with it in all my upcoming films. What's 2016 going to be like for your fans? There is Airlift in January. I have also started working on Housefull 3, and then there is Rustam with Neeraj Pandey. Currently, all my energies are focused on these project. If there is anything new that comes my way, I will end up announcing it anyway.